I’ve recently discovered how much I actually love entertaining. Summer is my favorite because I have a screen porch and a great backyard, which is perfect for barbecues or any kind of backyard party! I’ve already hosted two barbecues and am planning my daughter’s bridal shower, which has a BBQ theme. This post was sponsored by Ibotta but all opinions expressed are 100% my own. All this entertaining is a blast but can really be a strain on the budget. That’s why I use the Ibotta app to earn cash back in the process! Once my balance reaches $20 I can cash it out and receive actual money, not a store credit or other such balance. It’s real money in my pocket! First, choose the store in the app that you are going to. Then select the items you plan on buying, this will add the offers to “My Offers” on your app. Now go shopping like you normally do and when you get home, scan your receipt and collect cash! I’ll show you in this post how I earned cash back with several things I bought for my recent get together. I just hosted a backyard barbecue for friends and family on the 4th of July. 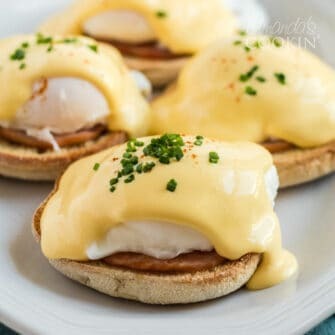 I have several go-to recipes that are perfect for summer entertaining. If you’re planning a barbecue, be sure to check out these easy recipe ideas. I have several favorite beverages I like to serve at a barbecue. I suggest having a variety but I also mention to guests that I will have a cooler with ice available if they have something specific they want to bring. Iced tea can be as easy as purchasing it from the store, making it with cold brew tea bags, or going all out with sun tea! We also love this peach tea and make it often. Lemonade is another go-to drink for summer. My favorite is this Strawberry Lemonade which we enjoyed on the 4th, but this Lavender Lemonade is also delicious. It doesn’t take long to prepare, but I do recommend making it the day before your party so it has time to get nice and cold in the refrigerator. If you prefer a spiked lemonade, you can check your Ibotta app to see if Mike’s Hard Lemonade has a cash back deal, or try my Lynchburg Lemonade cocktail recipe! Rum is synonymous with tropical summer drinks. 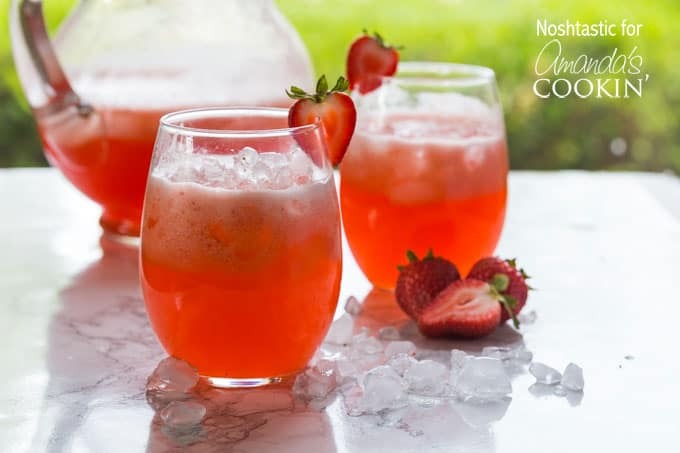 Summer wouldn’t be complete without this Rum Punch and I definitely made a couple batches for my party. 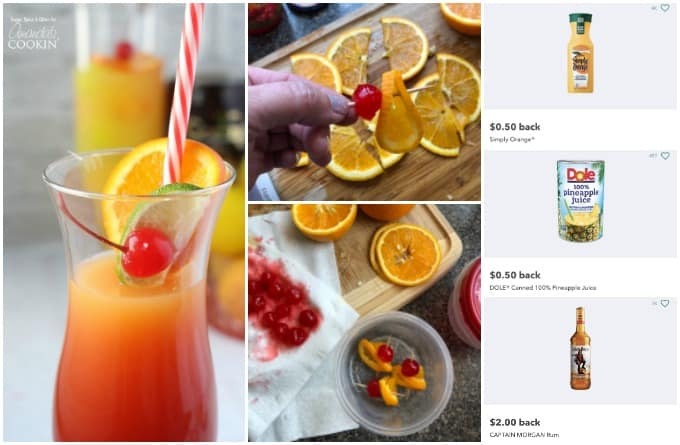 There were several different cash back offers on Ibotta for the rum, orange juice, and the pineapple juice. Score, that’s another $3.00 in my pocket! Here’s a tip – prepare garnishes of orange slices and maraschino cherries on toothpicks ahead of time and store them in a closed container in the refrigerator. If a slush is what you’re after, you’ll love this Pineapple Rum Slush or the classic Pina Colada. If you’re going with a slush, they’ll have to be made on demand, so unless you want to play bartender all night it might not be ideal for a large crowd. Please note all offers mentioned above were valid as of publish date. Don’t forget to check your app for details as offers change frequently and may not be available in all areas. Get the Ibotta app and start earning cash back for all your summer celebrations! First of all, it’s not uncommon to ask guests to bring a dish to pass. It’s not rude on your part, in fact, it’s often expected. I always ask guests if they will bring chips, dip, pasta or potato salad. Most people are more than happy to contribute! This leaves more money in my budget and allows me to make delicious desserts to serve. 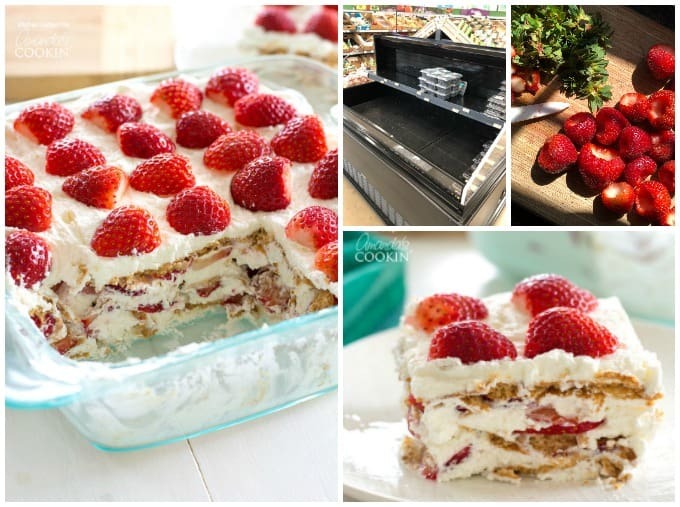 For my 4th of July barbecue, I chose to make two pans of my Strawberry Icebox Cake. It’s easy because there’s no baking involved and only requires a few ingredients. You will have to purchase fresh strawberries, so be sure to check your app and see if there are any offers! I found an offer for $0.25 back on each pound of strawberries I bought. Be sure to purchase your strawberries two or three days ahead. I had to go to 3 different stores as 2 of them were sold out! They are very popular for summer holiday parties. To save some time on prep, pull off the leaves and use a paring knife to cut out the top. Rinse the berries in cold tap water and drain well. Store the strawberries in the refrigerator upside down on paper towels covered in plastic wrap until ready to slice and use. No one wants to turn on the oven in the summer! Any of my no-bake desserts that have a baked graham cracker crust can be made without baking the crust. All it does is help hold the crust together better, so feel free to skip that step in the hot summer months. 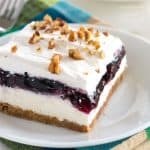 Blueberry Lush uses graham crackers, whipped cream, cream cheese and blueberry pie filling for an indulgent and easy to make dessert. 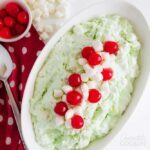 Watergate Salad is a classic dessert found at potlucks and parties everywhere. The combination of pineapple, pistachio pudding, and whipped topping is delicious! 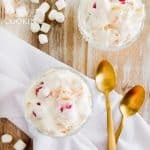 Much like Watergate Salad, Ambrosia is another popular dessert, this one made from whipped topping, pineapple, and fruit cocktail. The most popular no-bake dessert on this blog is Pineapple Dream. 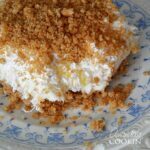 This dessert has pineapple, cream cheese, whipped topping and graham crackers and is always a huge hit. 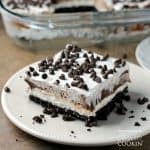 Coming in a close second to Pineapple Dream, Chocolate Lasagna is made with chocolate pudding and is always a potluck favorite. Backyard party tip – if you have a screened porch or even a screened canopy, it’s a great place to put the food or your patio furniture! 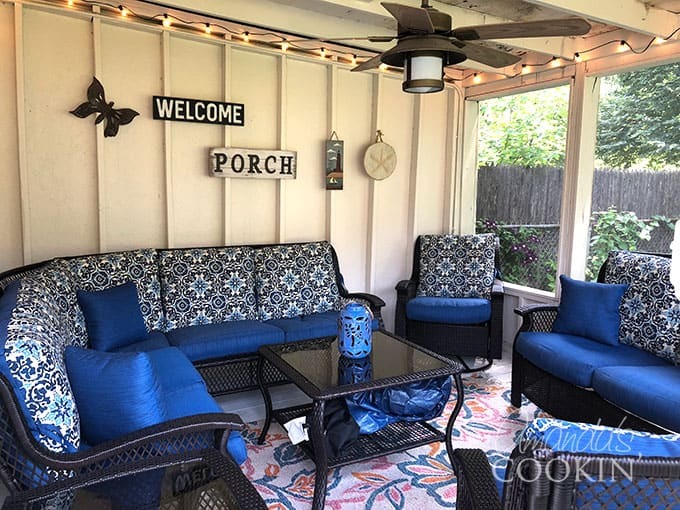 We spend a lot of time in my screened porch, though for my daughter’s bridal shower we will move the patio furniture into the yard and put all the food tables into the porch. I’ve learned quite a bit about cooking on the grill over the years. There are definitely some do’s and don’t’s when it comes to grilling, especially for a crowd! If you enjoy a good backyard party like I do, then you’ll want to read these grilling tips before hosting your next barbecue. Before you fire up the grill for your backyard party, make sure you’ve given it a good cleaning. 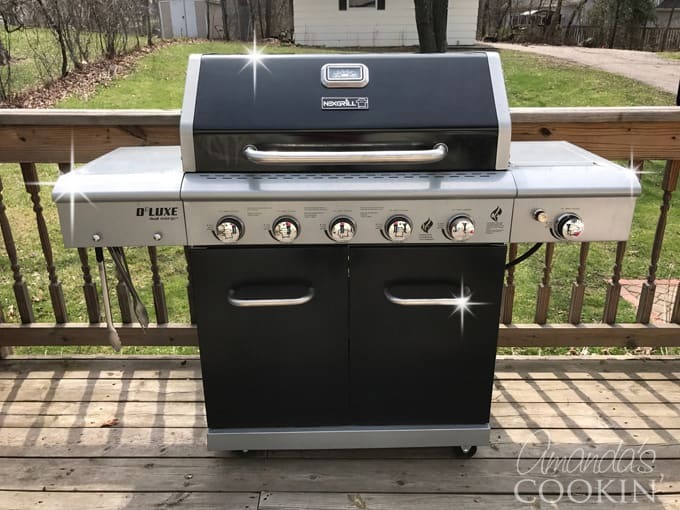 I give you step by step instructions with photos on how to clean your gas grill here. Direct grilling means you are cooking foods directly over the heat source, be it charcoal or gas. This works best for quick-cooking foods like thin cuts of meat—think steak, chicken breasts and pork chops—fish filets, precooked sausage, burgers, fruit slices and fresh vegetables. Tip: Bring proteins to room temperature before grilling. Indirect grilling is when you place food on one side of the grill and coals or gas flame on the other. This is ideal for slow-cooking fatty cuts of meat such as whole chickens, spareribs, pork shoulders and racks of lamb. You will usually sear the meat directly over the heat first, then move it afterward to cook it indirectly. Tip: To cook indirectly on a charcoal grill, push the coals to the sides of the grill and separate them with an aluminum pan. When you cook on the grate the drippings will fall into the pan. For gas grills, keep at least one burner turned off and cook over it. Smoking is when you indirectly grill with wood chips, the food retains a rich, smoky flavor. Various hard, dry woods—hickory, mesquite, and cherry—impart different tastes. Add chips directly to hot coals, or encase them in an aluminum foil packet, poke holes in the top, and place under gas grill grates for the duration of cooking. Tip: Always soak wood chips in water first—it slows the burning, meaning more flavorful meat. To speed up the process, place moistened chips in a re-sealable plastic bag, freeze and use as needed. My recipe for Chile Lime Chicken is tender and juicy and can be quite spicy, depending on how hot you like it! This recipe for Pork Chops al Pastor produces one of the tastiest pork chops I’ve ever had. Our Marinated Chicken Skewers cook up quickly due to bite-sized pieces and they are fun to eat! Garlic Lemon Chicken is one of my go-to recipes for boneless chicken breasts and great for a backyard party. If you need something on the side, our grilled Corn and Zucchini Salad is a crowd pleaser. Finish it off with these sweet grilled Watermelon Pineapple Skewers! Want more? Here are 30+ recipes for the grill, including sides, entrees, and dessert! No matter what you serve at your backyard party, remember to check the Ibotta app for things you are going to buy anyway and earn yourself some real cash back! Enjoy your summer! Wow I totally need this in my life! Love Ibotta! And this post had so many great tips. Thank you for sharing. we have the same grill! thanks so much for all these recipe ideas!!! i’ll have to check out ibotta, i’ve never heard of it before! Such a gorgeous space and I want every one of those drinks! This is perfect! We’re having a get together in a few weeks, so I needed ideas. So many wonderful ideas for a summer party. I just wish I had a grill and a patio or deck. Oh wow!! So many great recipes!! We have been eating outside every chance we can all summer!! Can’t wait to try some of you grilling ideas. Thanks Emily! I’m with you, I LOVE eating outside, I love summer! 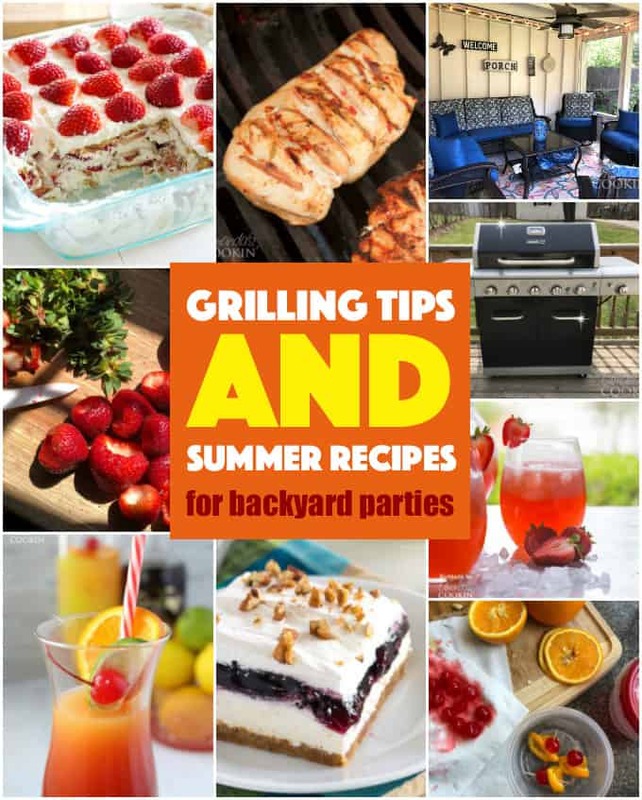 I love backyard summer grilling and these are some great tips! I am making them rum punch next time we have a party for sure! That rum punch is ALWAYS a huge hit! !